studio jeweler: Recycle that gold! In case you haven't noticed, gold prices are at an all time high. 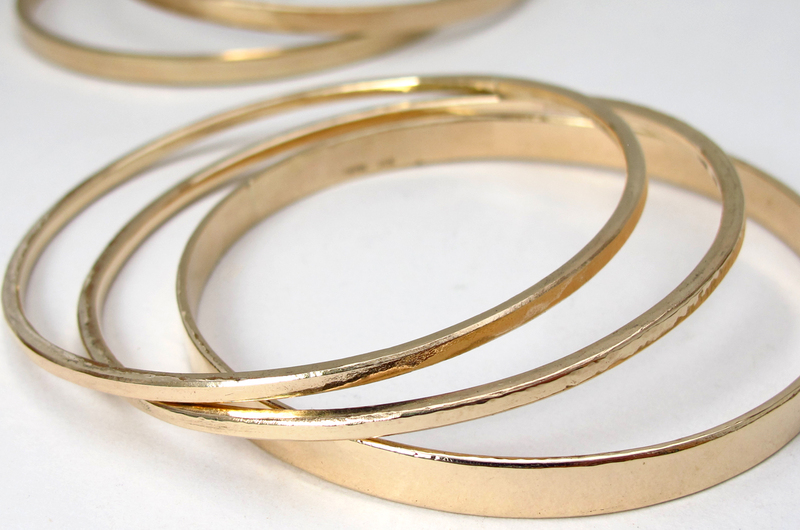 If you are lucky enough to have some old gold jewelry that you never wear or never liked it can be very tempting to cash out. But it can tug at ones heart strings to sell your mother's favorite bracelet or worse, something that you received as a gift! So, instead you decide to hang on to this valuable stash, well, just because. Or.... recycle it and make something new. Just melt it! 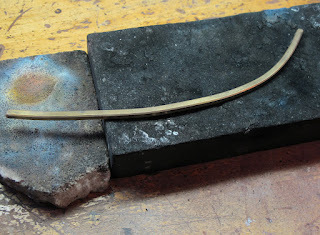 Gold has been passed through a rolling mill to form square wire. In the past the Gold Council ran ads with a tag line that said "nothing else feels like gold". So true. 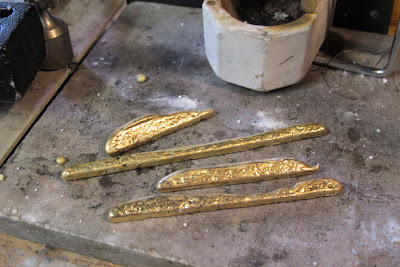 The beauty of gold beyond it's intrinsic value is that it can be reshaped and remade. Much jewelry has been created through the ages by melting down old gold to make something new. A client came to me with this very dilemma. 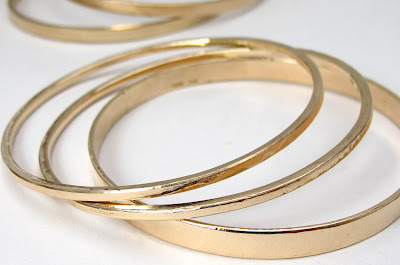 There was enough gold to yield several Mother and Daughter bracelets. Each bracelet is infused with sentiment and the jewelry stays in the family (sort of). Hammered 14K gold bangles from re-cycled gold. 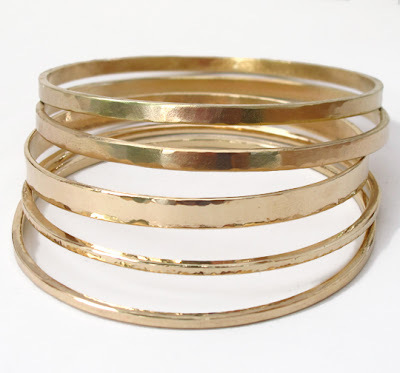 A new stack of hefty 14k bangle bracelets- each one unique. 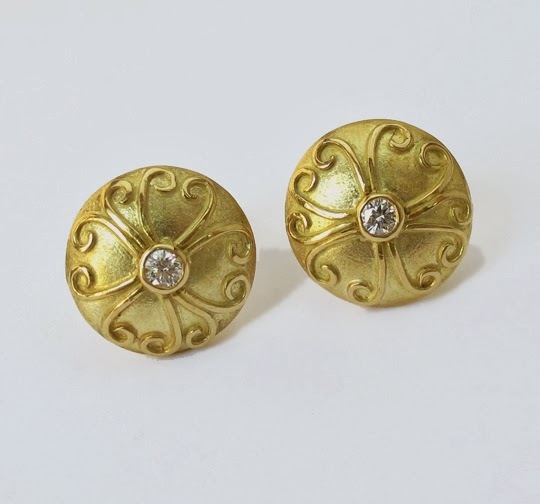 Hammer marks convey the artistry of genuine handmade. Nothing feels like real gold--for sure. This was a fun project!